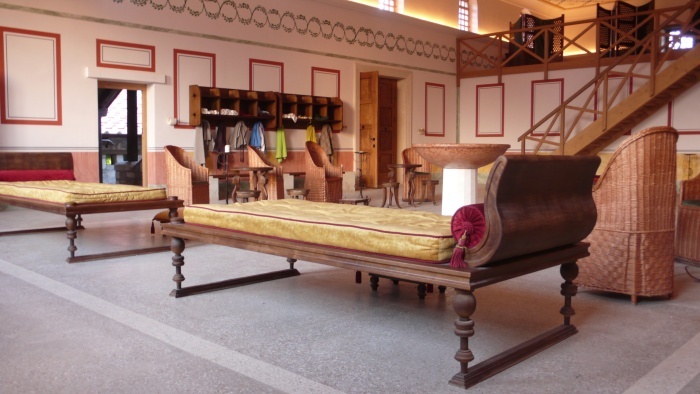 The archaeological park of Carnuntum presents a journey through the impressive history and the vast territory of the provincial capital of Pannonia superior, which today includes the municipalities of Petronell and Bad Deutsch-Altenburg in Lower Austria. The military area includes the remains of the legionary fortress, an additional auxiliary fort and the soldier´s amphitheatre, well preserved and still used for performances during summer time. The richness of the place is best discovered in the adjacent civil town, where a living quarter has been preserved including a newly constructed visitor center. 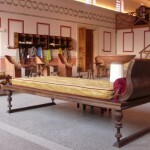 The completely reconstructed homes of Roman citizens with shops, kitchens, courtyards, small gardens including a large bathhouse, which is still in function, give a unique insight in Roman lifestyle and living comfort. On the edge of the civil settlement another splendid amphitheatre is situated close to the unique „Heidentor“, a huge triumphal monument, emphasizing the monumentality of Carnuntum. 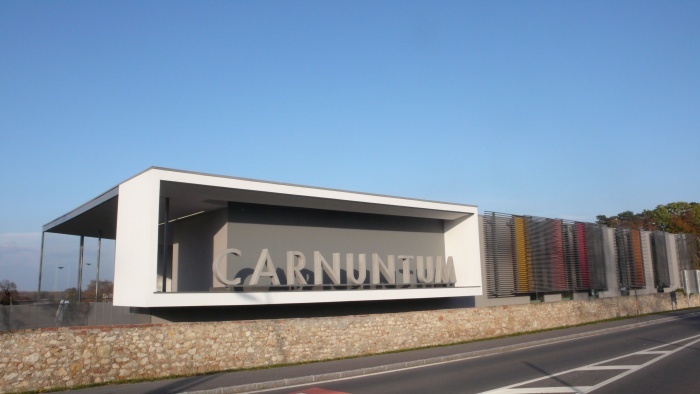 The history of Carnuntum begins around 40 AD, when a legionary fortress was built by Roman soldiers of the Legio XV Appolinaris on former unsettled ground on a steep cliff above the river Danube. One of the main driving forces for the rapid economic growth and wealth of the place was the so-called „Amber-Route“, which is one of Europe´s main ancient trade routes, connecting the Baltic Sea region with the Mediterranean Sea. 6000 legionaries of the Roman army observed the move of people along and beyond the immediate Danube borderline and controlled the flourishing traffic and trade at the river bank into and out of the Roman Empire. Jewelry made from amber was one of the most precious and highly valued luxury goods of the emperor´s family and the Roman nobility. During the first 100 years of its existence Carnuntum experienced a constant growth of its political importance, becoming capital of Pannonia (superior) with the residence of the governor and the provincial administration. Soldier´s families, veterans, merchants and various suppliers of the Roman army settled around the fortress, while wealthy Roman citizens founded a completely new town to the west of the military territory. Around 168 AD this peaceful life was suddenly heavily disturbed when Germanic tribes, driven by their need for better land and living conditions, crossed the frontier line, raided the province and advanced deep into the Italian homeland. For a life span Carnuntum and the province of Pannonia advanced into the very center of Rome´s political interests when the Emperor Marcus Aurelius successfully and finally defeated the Marcomanni and Septimius Severus, was acclaimed new emperor by his Pannonian legions in 193 AD. 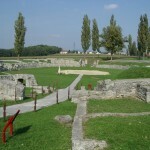 Although Carnuntum remained an important strategic military stronghold of the Roman army in the later Roman Empire and several emperors visited and stayed here, live became more and more strenous and the settlement area shrinked due to constant political threats in- and outside the Empire followed by economic crisis and a mayor earthquake around 355 AD. 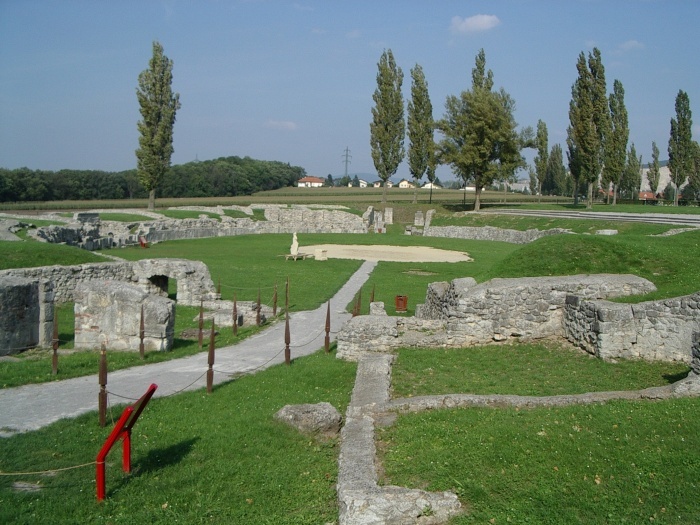 Carnuntum was finally abandoned by the army in 433 AD and fell into oblivion before it was re-discovered in the 16th century. The Museum Carnuntinum built in the style of a Roman villa and opened in 1904 by the Emperor Franz Joseph I is the treasure house for the most important and fabulous collection of Roman stone monuments and artefacts and alternate exhibitions connected with the history of Carnuntum.